www.foropaiporta.com :: 3º FESTIVAL De NARRACION ORAL En PAIPORTA - OCTUBRE 2018 ! 3º FESTIVAL De NARRACION ORAL En PAIPORTA - OCTUBRE 2018 ! 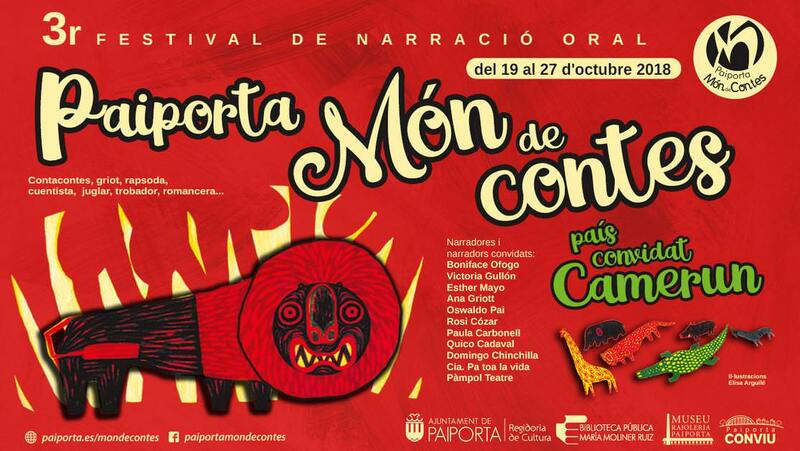 Publicado: Dom Oct 14, 2018 11:18 pm Asunto: 3º FESTIVAL De NARRACION ORAL En PAIPORTA - OCTUBRE 2018 !